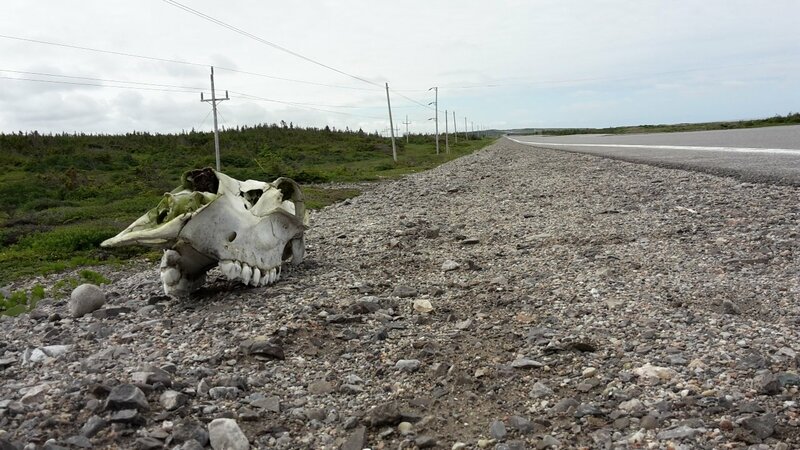 Newfoundland has given the world many firsts: It was here that Marconi received the first transatlantic radio signal; here that Alcock and Brown launched the first transatlantic flight to Paris; here that scientists discovered proof that the continents drift. 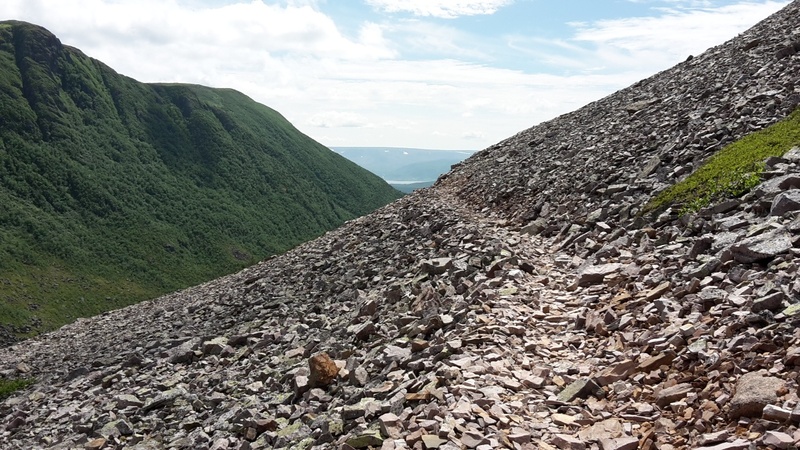 Geologists are perpetually fascinated with the Tablelands, where the earth’s mantle is forced to the surface by tremendous tectonic pressures, and once you experience this terrain you will be, too. 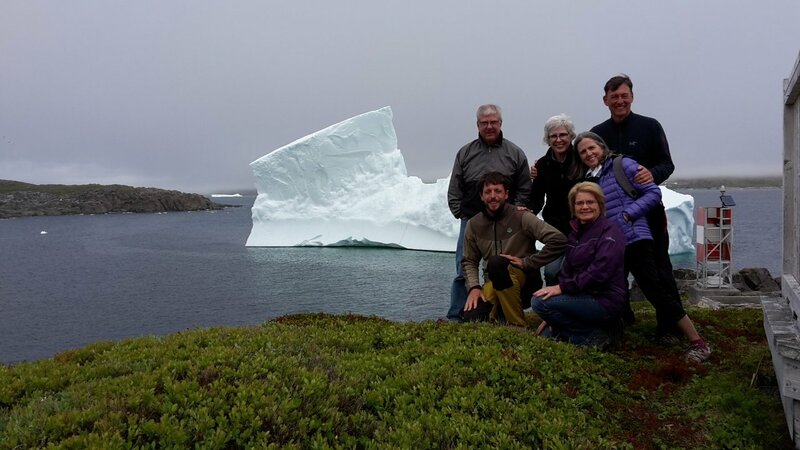 "...Highlights of the tour were the intimacy with the island of Newfoundland gained through multiple, well-planned activities with professional, personable, empathetic, and helpful guides. 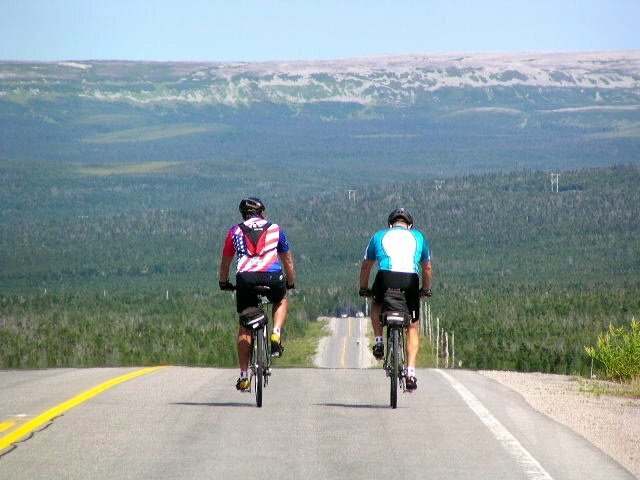 We are husband and wife who enjoy riding at different paces, and the tour approach very definitely welcomed and accommodated each of our styles. 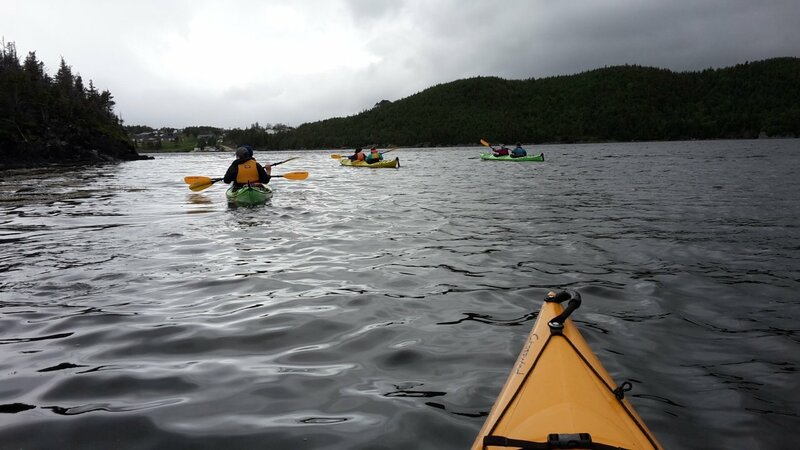 The hiking and kayaking created a well-rounded experience. Wally and Mario were exceptional leaders and offered excellent service and conversation throughout the tour." 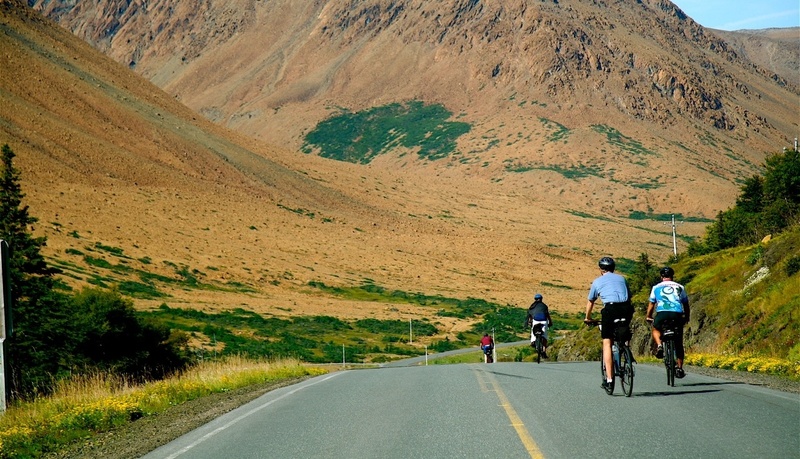 Our Newfoundland bicycle tour is one of our favorites! This is the far east of the western world, where science and beauty collide to provide a land that is both breathtaking and humbling, too. 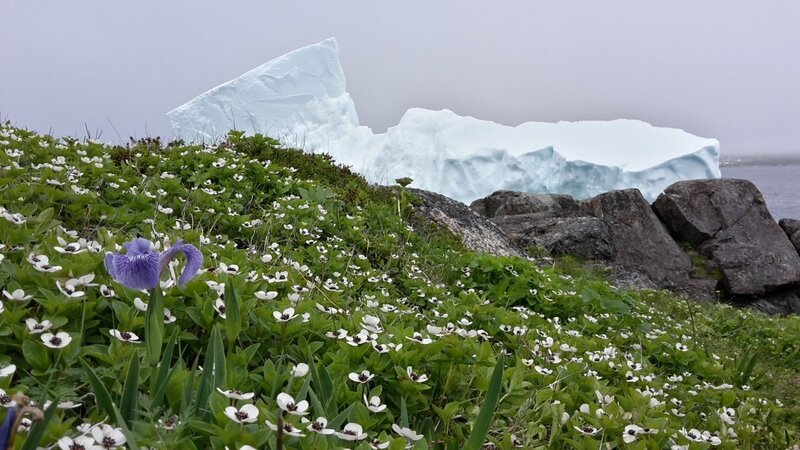 It’s that austere, unspoiled beauty that defines this great place: Enormous lakes — or ponds, as the locals call them — were carved by massive prehistoric glaciers, are surrounded by dramatic cliffs extending 2,000 feet above the water. 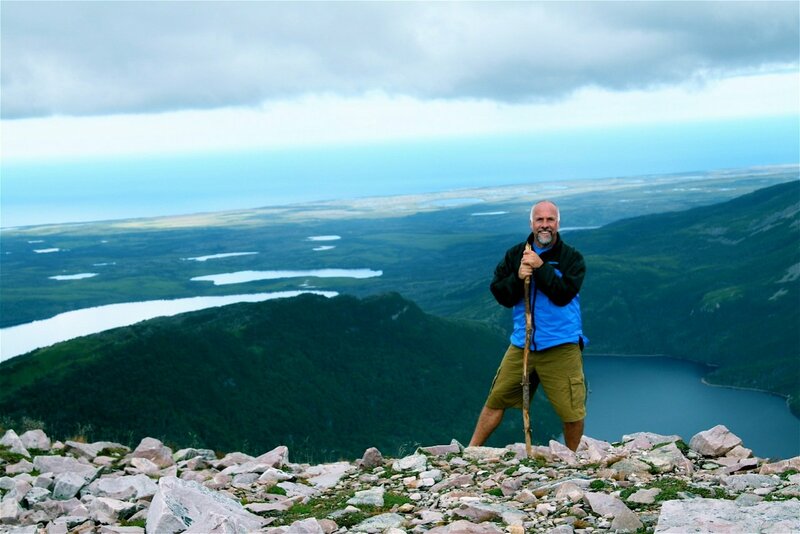 The rocky coast, explored by Vikings more than 1,000 years ago, the rough wilderness, the ocean, and its sweeping vistas, the world’s friendliest people — this is the Newfoundland that we want you to meet! 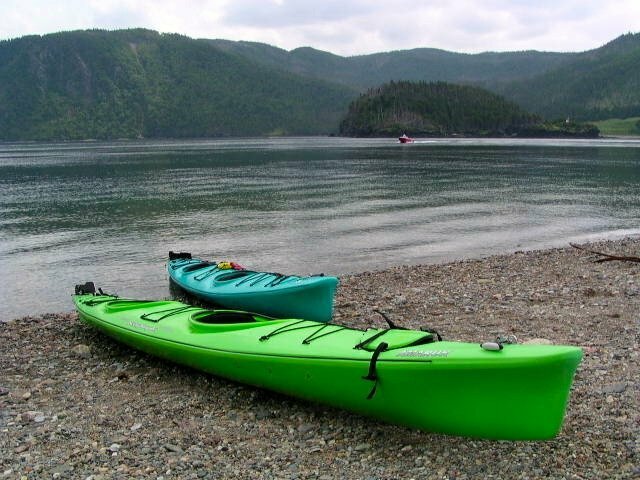 We will pick you up in Deer Lake, near noon time for a quick transfer to Wiltondale and the start of your tour. 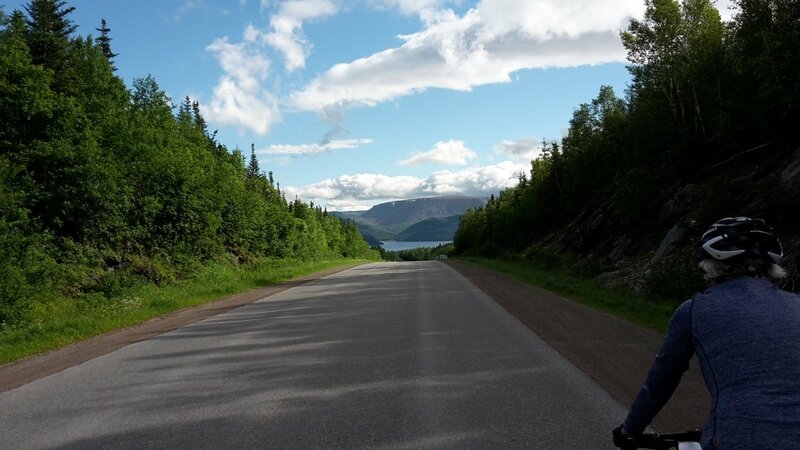 You will cycle north on Route 430 into Gros Morne National Park enroute to Norris Point where you will hang your helmets for the next three nights. There are a few hills to tackle today as well as a few downhills for compensation. Keep your eyes open for moose along the way. Granted, they are pretty hard to miss! Our first three nights together will be spent at The Sugar Hill Inn. 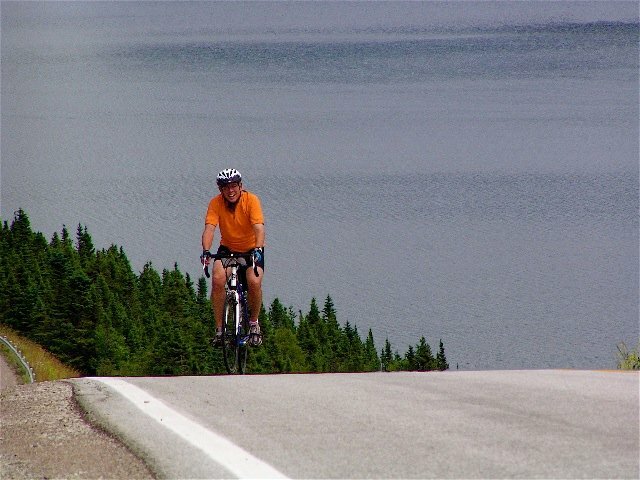 After a short ferry crossing, you will cycle along the Tablelands to the village of Trout River. 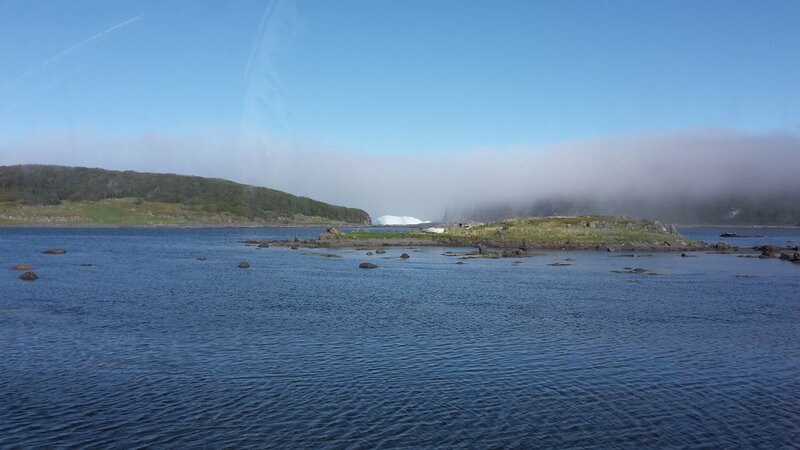 Due to the rock composition, nothing grows on the Tablelands, and this creates a wondrous contrast with the surrounding greenery. 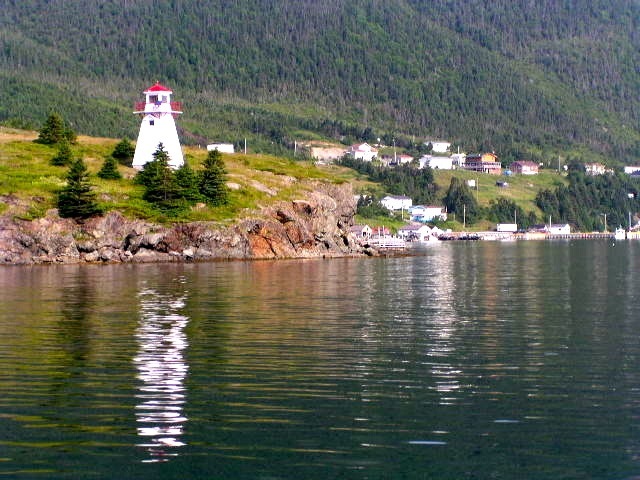 We’ll stop at the interpretation center, whichwill enhance our afternoon’s adventure, and grab some lunch before returning to Norris Point. 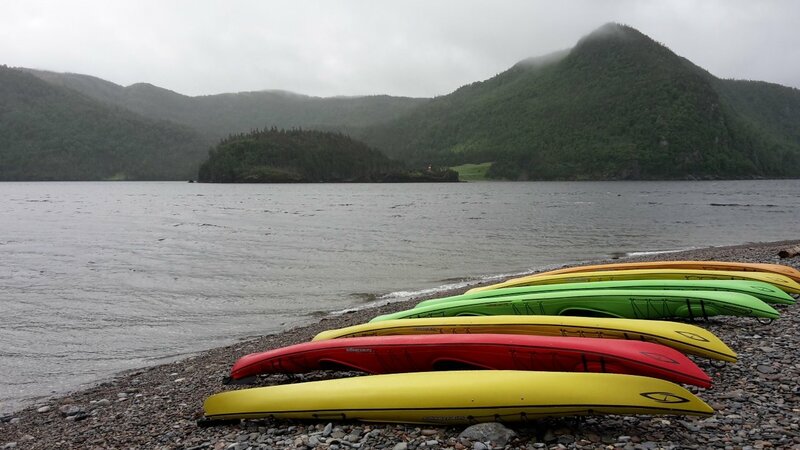 Once off the ferry, you’ll trade bicycles for kayaks and enjoy a beautiful two-hour paddle around Bonne Bay and a chance of keeping company with whales and bald eagles. Lodging: The Sugar Hill Inn. 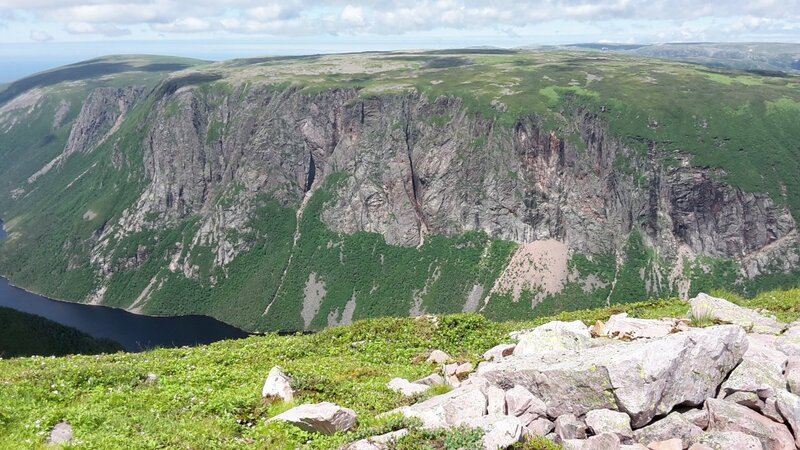 Today, you hike Gros Morne. Expect to spend five to six hours to complete the hike. Bring your camera, too, for this truly is God’s Country. 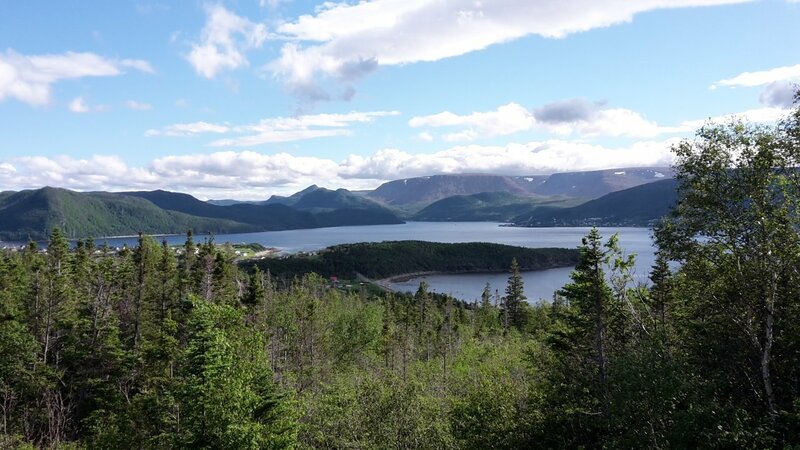 The views from Gros Morne will take your breath away: Stunning fjords descend to the majestic sea below and dramatic waterfalls will fill you with a sense of awe and longing. 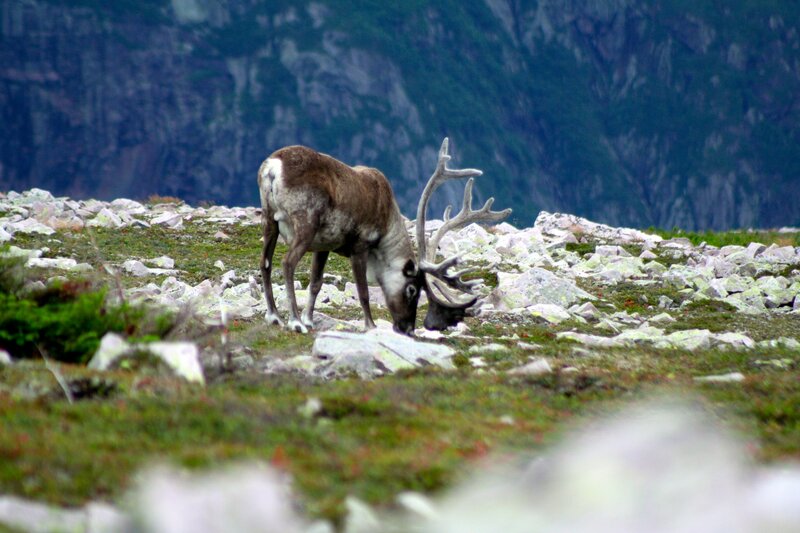 And the bountiful wildlife — ptarmigan, caribou, moose, hares, coyote, deer to name just a few —will help you feel at peace with the land. Tonight we’re staying at The Sugar Hill Inn. 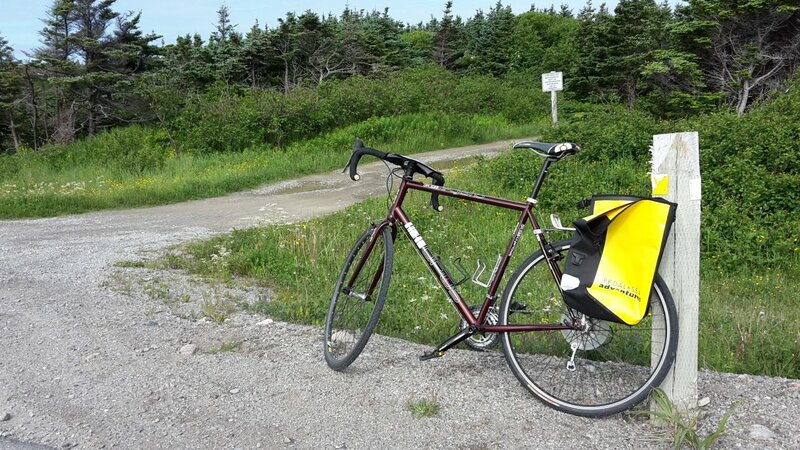 With the exception of leaving our inn as we make our way to Rocky Harbour, today’s ride is flat with wonderful scenery all the way to Portland Creek. There are numerous stops along the way to get a feel for the area and consider how it must have been so many years ago. Tonight you’ll check in to The Entente Cordiale. 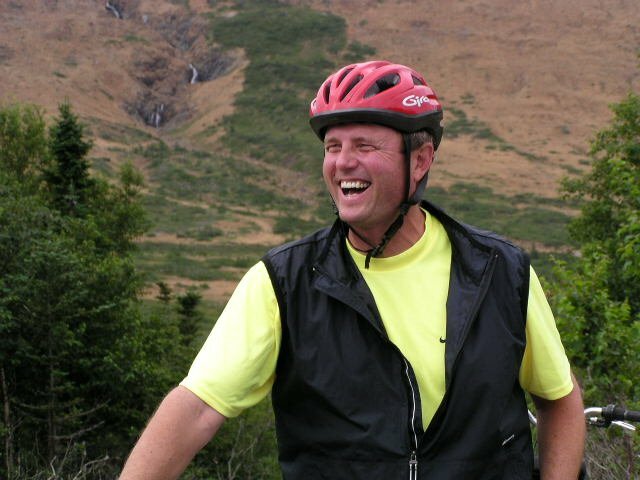 It’s an early start as you cycle to Plum Point. 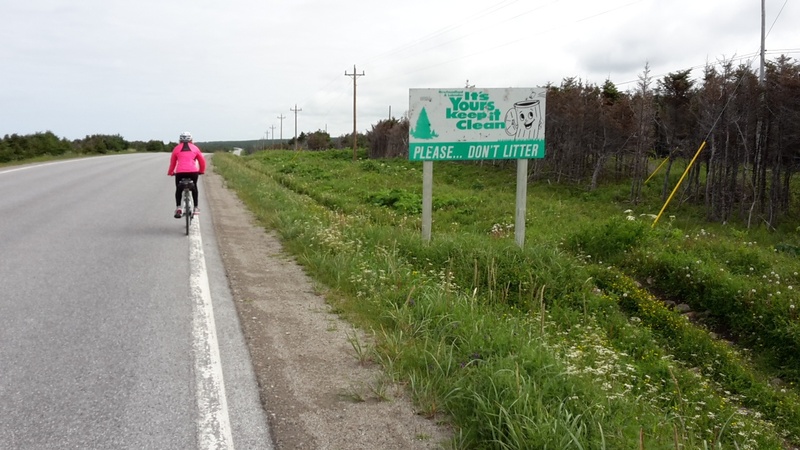 The road is quite flat, and the ride is usually accompanied by a tailwind, which means this is a good opportunity for those wishing to get in a Canadian century and then some. But the van will stay close by for those who need a break. Tonight we’ll stay at The Valhalla Lodge. 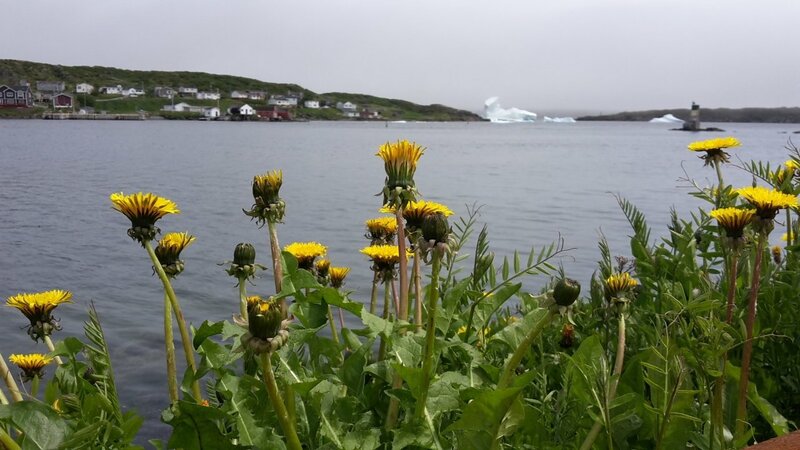 You will visit the Viking Village at L’Anse aux Meadows, a UNESCO World Heritage site, where the first European settlement in the New World — 500 years before Christopher Columbus — was recently discovered. 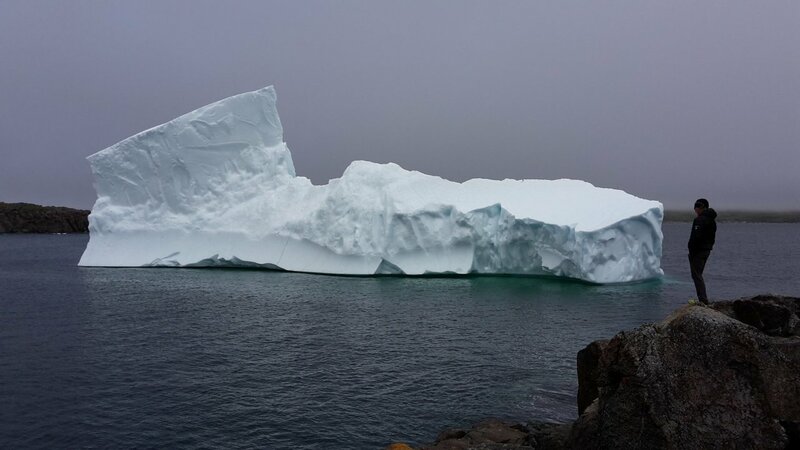 After lunch you head to St. Anthony for possible iceberg and whale sightings before taking in the Grenfell Mission. It’s a full day with a special night planned for you this evening. Lodging: Valhalla Lodge. After yet another great breakfast, you’ll be shuttled back to Deer Lake. 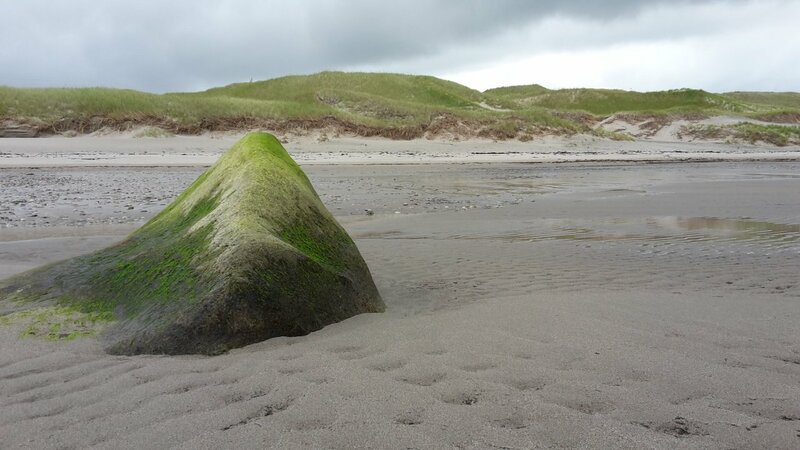 Time permitting, we’ll stop at any sites you might have missed on the way up the coast. 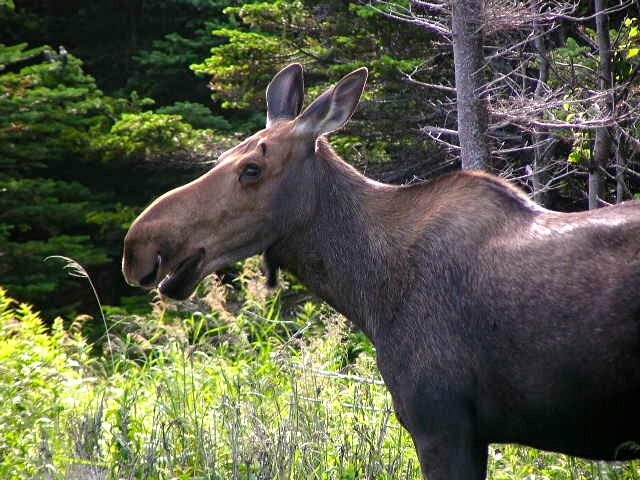 And, of course, we will be keeping our eyes peeled for moose as well. A stellar end to an enchanting week!